When you get out of bed in the morning, how do you feel? Are you ready to take on the world? This young heroine is ready and then some. The strength, the determination... the power leap off the page of this clarion call to the world. Look our world because the sun is coming up and this young girl is ready to take on all comers. She is awake and hoping out of bed ready to don her armor. She's ready to face the fiercest dragons and many headed serpents. Courage and inner steel come one like gangbusters as one young girl heads off to school where nothing will scare her and nothing will stop her. Resolute, determined, and full of self confidence and bravery, this girl stands strong through all her challenges whether she's riding the school bus, standing up for Show and Tell or making a new friend in the cafeteria even when that means swimming against the tide. 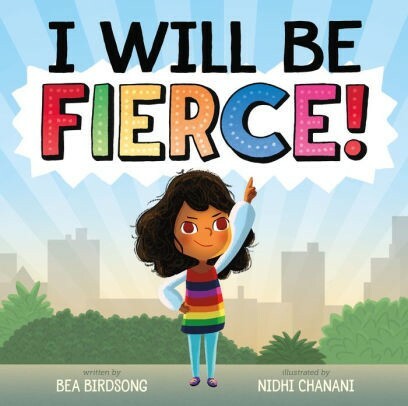 A very empowering books for girls of all ages.